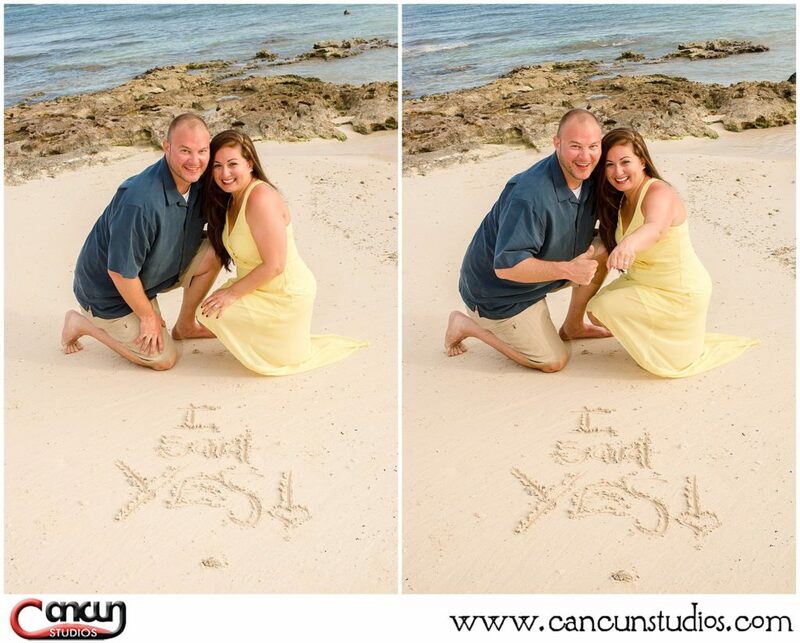 With an “I said YES!” written on a white sandy beach, this couples’ engagement session in Cancun features many fun photo ideas and encapsulates the emotions of a new chapter. Location is everything and our team of photographers carefully chose a beautiful spot. 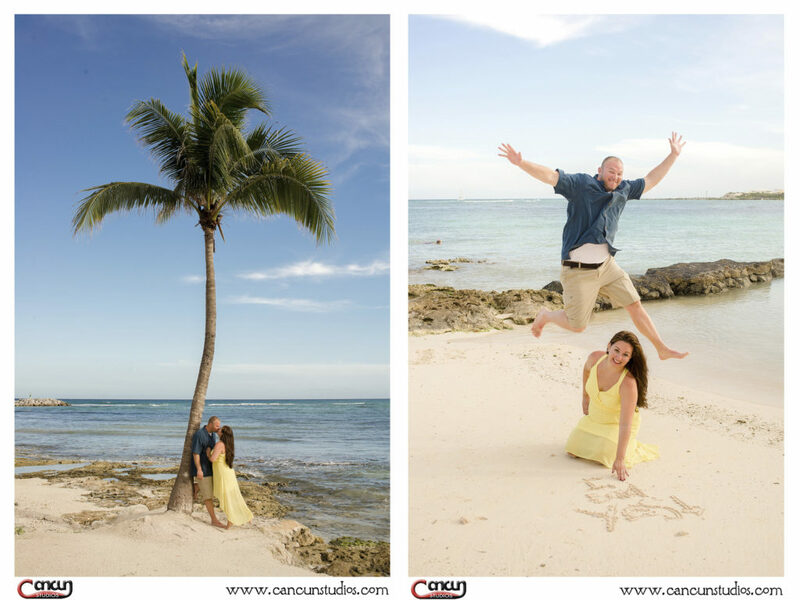 The photo session took place on the calm beach of Puerto Aventuras, where a blue sky, turquoise ocean, a perfect palm tree and rocky areas highlighted the couple’s engagement session in Cancun. Messages written in the sand is always a classic beach photo idea. Here we used “I said Yes!” to announce the big news. 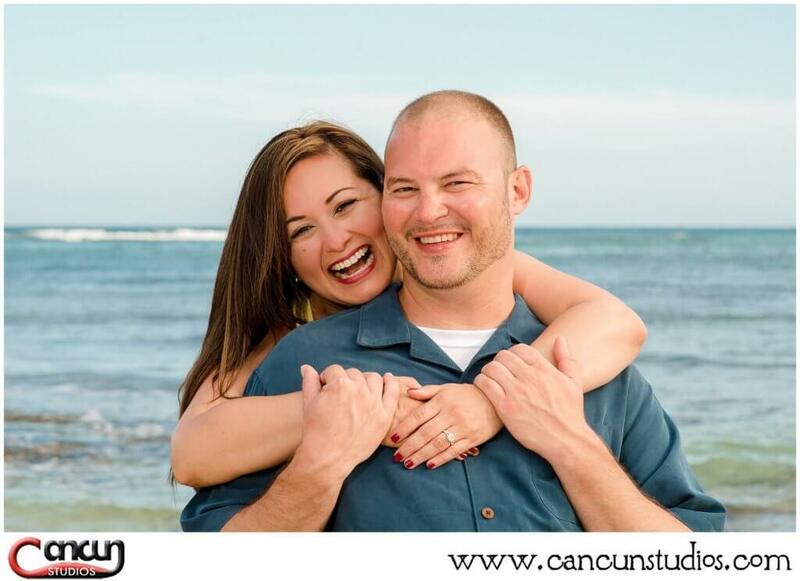 The hollywood kiss is one of our favorite ideas for a Cancun beach session. 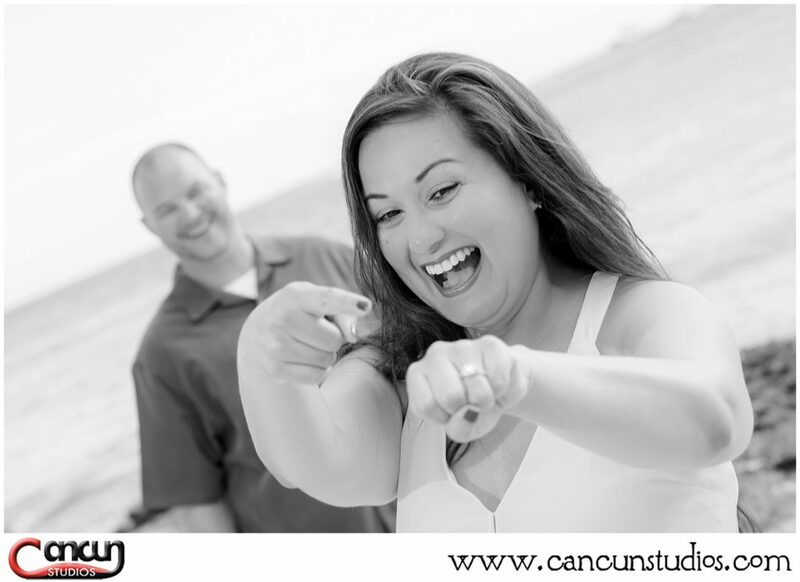 It’s always fun to see our couple’s get a little passionate during their engagement session. A palm tree is always a fun prop to get creative with. Here we had a single palm tree and captured a magical kiss with our newly engaged couple. We love to use bungalows, palm trees and random surroundings to frame the subjects making them stand out and highlight the moment. The ring is always the highlight of any engagement session and it’s important to show it off. Here we focused on a close-up of the ring where the evening sun gleamed off of the piece that signifies their love and commitment. We loved this surprise moment that showed off the ring along with her expression and his expression. 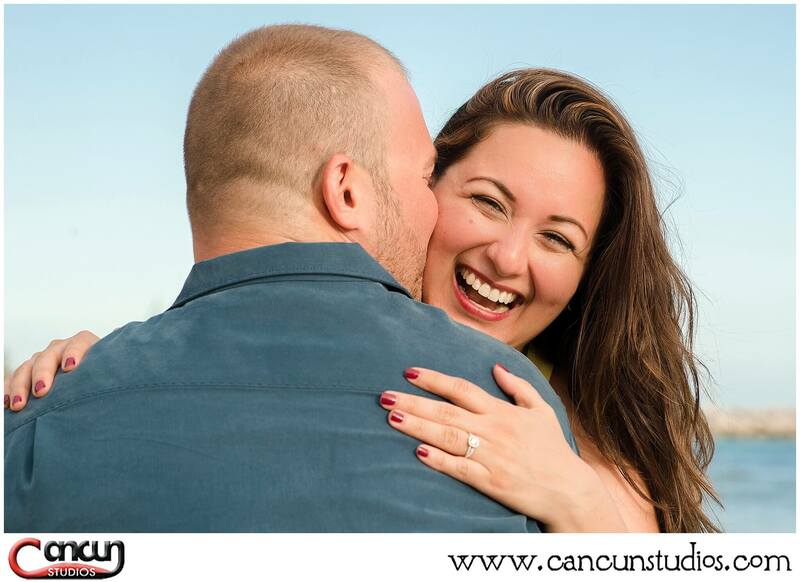 We hope their session can serve to provide some inspiration and ideas for your own engagement session in Cancun.